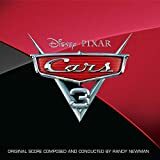 Accueil Produits Musiques La bande originale de “Cars 3”. La bande originale de “Cars 3”. 1. Storm’s Winning Streak – 1:22. 2. When All Your Friends Are Gone/Crash – 3:43. 3. Doc’s Painful Demise – 1:25. 4. Mater on the Horn – 0:28. 5. Sistine Chapel on Wheels – 1:05. 6. Temple of Rust – eze – 1:25. 7. A Career on a Wall/Electronic Suit – 3:20. 8. Drip Pan – 1:11. 9. McQueen’s Wild Ride – 2:04. 10. Biggest Brand in Racing – 3:10. 11. Fireball Beach – 2:15. 12. Pull Over, Now!/Cruz’s Racing Dreams – 1:59. 14. If This Track Could Talk – 2:32. 15. Letters About You – 2:01. 16. Smokey Starts Training/A Blaze of Glory – 5:55. 17. Starting Dead Last – 1:41. 18. Flashback & Pit Stop – 3:31. 19. Through the Pack – 3:40. 20. Victory Lane – 3:50. 21. 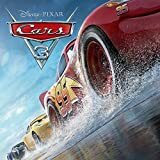 The Fabulous Lightning McQueen – 2:09. 1. Run That Race (par Dan Auerbach) – 2:43. 2. Kings Highway (par James Bay) – 3:06. 3. Truckaroo (par Brad Paisley) – 2:36. 4. Thunder Hollow Breakdown (par Brad Paisley) – 4:49. 5. Glory Days (par Andra Day) – 4:06. 6. Ride et Gary Clark Jr. (par ZZ Ward) – 4:03. 7. Drive My Car (par Jorge Blanco) – 2:41. 8. Freeway of Love (par Lea DeLaria) – 4:32.